Send your sisterly love to your brothers on the auspicious Raksha Bandhan through this Superb 5 Raksha Bandhan Set elegantly combined with a free Rakhi, Roli Tilak and Chawal. 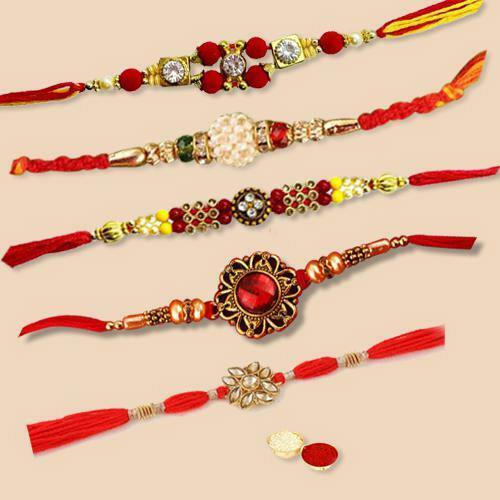 This charming set of 5 Rakhis will sure to win hearts of your lovely brother in a unique way. There could be slight variation depending upon the availability of the product.